Georgia is celebrating the 100th anniversary of the restoration of self-governance or autocephaly of the Georgian Orthodox Church today. The day marks the restoration of autocephaly from the Russian Orthodox Church on March 25, 1917. 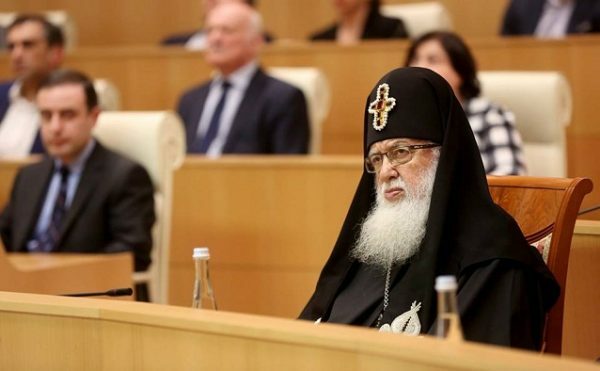 The Georgian Parliament hosted a conference last night to mark the date, which was attended by the head of the Georgian Orthodox Church, Patriarch Ilia II, President Giorgi Margvelashvili and Prime Minister Giorgi Kvirikashvili. Kvirikashvili spoke about the importance of Christianity and said the church and state strengthen one another. He also said that 2017 is an important year since the 100th anniversary of the restoration of autocepahly, the 40th anniversary of the enthronement of Ilia II and the Patriarch’s 85th birthday are all celebrated this year. Margvelashvili also stressed the important of the church and said the identity of the nation is closely tied with Christianity. The Georgian Orthodox Church was granted autocephaly by Antioch in 457. Centuries later in 1811 the Russian Empire illegally abolished the autocephalous status of the Georgian Church despite strong opposition in Georgia, and the Georgian Church was subjected to the synodical rule of the Russian Orthodox Church. The Georgian Church regained autocephaly in 1917, but the Russian Church recognised the independence of the Georgian Church only as late as 1943.